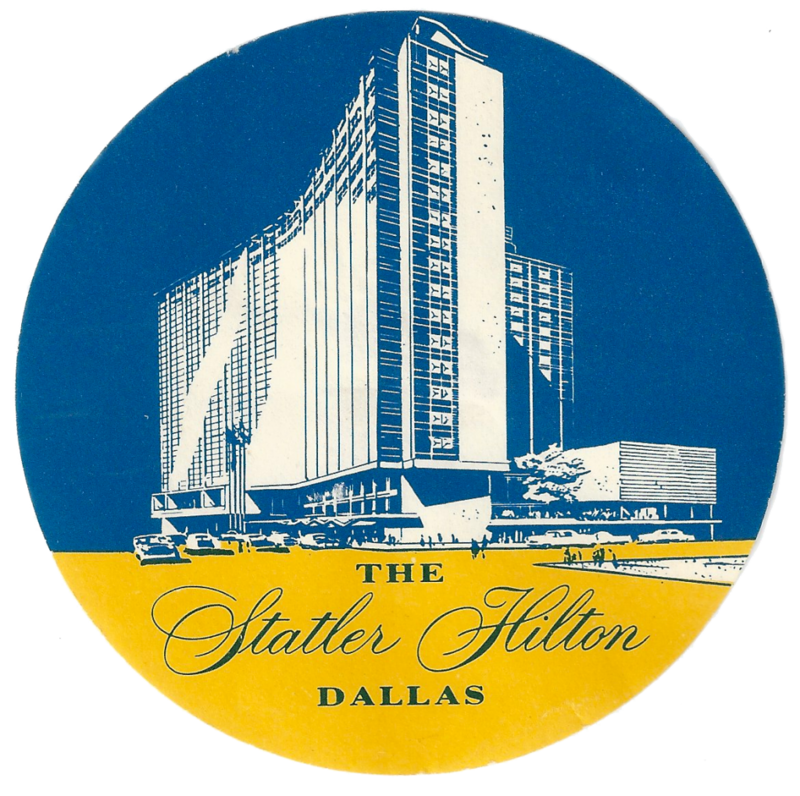 Full of Mid-Century Modern vibe, these colorful 1950s artifacts show a few examples of the Statler Hilton in sketches. 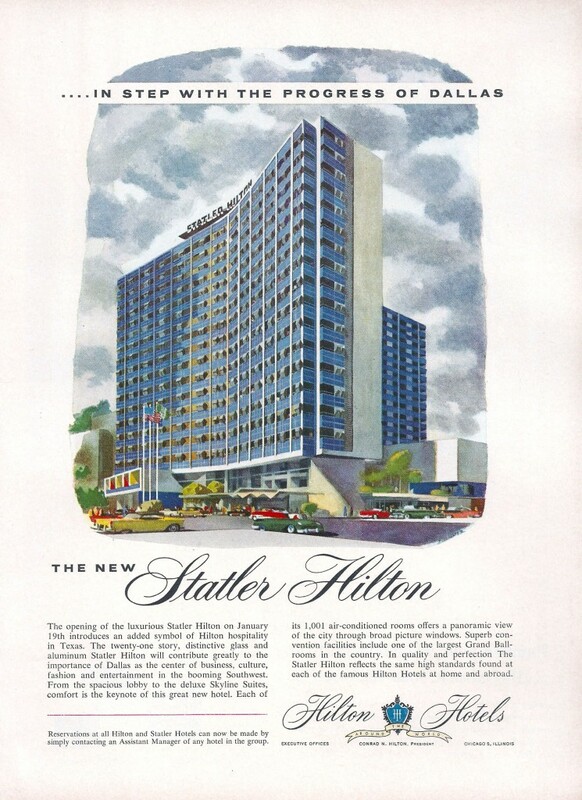 The Statler Hilton used several artists to sketch glamous renderings of the hotel when it first opened, showing off its clean lines and progressive architecture. 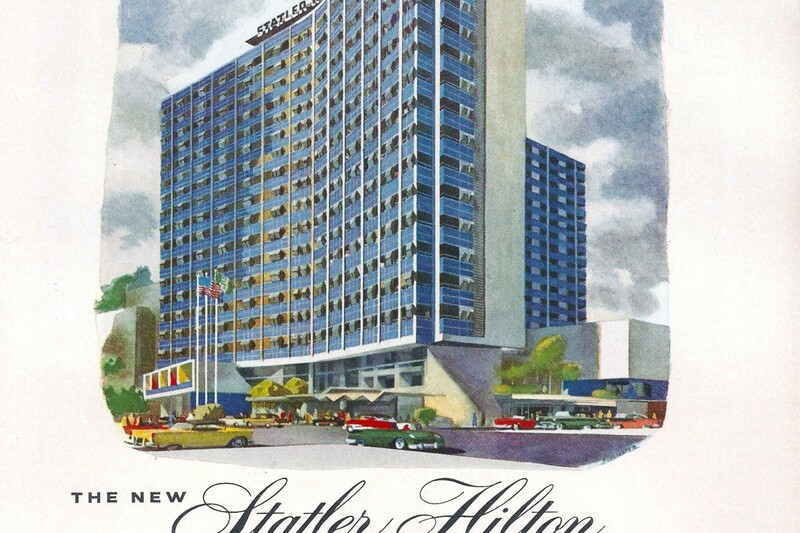 Advertisements announced the hotel’s opening to the world; luggage tags and matchbooks were popular souvenirs of guests. Click each image to enlarge.